Ideally, pianists should not experience hand injuries as a result of their practice. If you’re practicing regularly and correctly, constantly relaxing your shoulders, elbows and wrists, you should never feel pain, tension or discomfort in your muscles or tendons. However, I don’t think there is a professional pianist in this world who had not suffered from a certain hand injury at least once in his/her life. No matter how relaxed we play, sometimes the pianistic challenges are too high and so is our desire to overcome them. 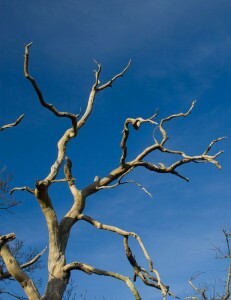 As a result, tension and stress accumulate not only in our mind, but in our hands as well. Carpal tunnel syndrome and tendonitis are just two of the many repetitive motion related injuries that pianists may experience during their musical career. I am not a doctor and I will not overwhelm you with complicated medical terms that will explain scientifically all these conditions. I will just share with you a few simple insights – the result of more than 20 years of hard work – that will help you understand the causes, the symptoms and the prevention measures of practice-related hand injuries. I will also tell you what exactly you should do in order to effectively deal with a muscle strain or a hand injury. 1. Tension. Relaxed, heavy arms with flexible elbows and wrists – this is the foundation of an efficient, healthy and enjoyable playing habit. Tension is not only a productivity killer and a sure way of destroying the beauty of your sound. If your arms are tensed when you practice, if your elbows and wrists are rigid and immobile, then you also risk developing a hand injury! Always, no matter what you play, make sure that your posture is correct and there is no tension in your body – especially in your wrists! 2. Irregular practice. I actually call this phenomenon the lazy student syndrome. For many months, most students practice from time to time, without having an organized work schedule. When the exams or the concerts approach, the panic begins. One or two weeks before performance, these students start practicing 5 to 10 hours per day in order to ‘recuperate’ the lost time. They are stressed, they are in a hurry and they ‘skip’ all the necessary practice steps: slow playing, gradual assimilation of the musical material, awareness of the message encoded in each piece, a deep understanding of the emotional structure of the music and its dramatic content. Unfortunately, this ‘student syndrome’ has a detrimental effect not only on the quality of your playing, but also on your physical and psychological health. The unexpected tension affects your untrained overworked muscles and tendons, leading to pain and other unpleasant manifestations. The panic and the unavoidable psychological discomfort make things even worse, aggravating the symptoms and making it impossible for you to achieve a quality performance. I personally know many good pianists who gave up on their musical career because of severe hand injuries caused by incorrect irregular practice. Piano playing is not just art; it’s also a high-performance physical challenge. Think what would happen to the legs of a long-distance runner if he or she would not go to training every day? 3. Playing ‘only with your fingers’. This is another almost fatal mistake that leads not only to bad performance, but also to muscle strain and tension. As we all know, the correct piano technique is based on the involvement of your entire arm – shoulders, elbows, forearms, wrists and fingers. If you play by moving only the fingers, the rest of your arm will be tensed, which will lead to pain and discomfort, not to mention the hammering ‘percussion’ sound. 4. Incorrect posture. A correct piano posture harmonizes the anatomical particularities of the human body with the particularities of the instrument. If your posture is incorrect (slouching, raising your shoulders, positioning the elbows too close or too far from the body, straining your wrist or lowering your knuckles below the wrist level), then you’re dramatically increasing your chances of developing a hand injury. 5. Too much ‘enthusiasm’ in your finger stretching exercises. Did you hear or read about what happened to Robert Schumann? He was a brilliant pianist, but he was seeking perfection in his piano technique, so he invented a ‘device’ that helped him stretch his fingers. Maybe the idea itself was not so bad, but unfortunately Schumann exaggerated with these exercises and he developed an irreversible hand injury. After that, he could never perform in public his own virtuosity pieces, which started to be promoted by his talented wife, Clara Schumann. Be careful when you do your finger stretching exercises! Your whole body should be relaxed and each stretch should be performed at exhalation – just like in yoga. This way you’ll avoid an accidental strain that could cause a more complicated trauma. 6. Psychological tension, stress and a negative attitude. Even if you practice regularly, even if your posture is correct and you play relaxed, by using the weight of your entire hand behind each note, you still risk getting a muscle pain if your attitude is incorrect. Our state of mind is the fundamental cause of all our problems. A negative attitude will amplify and worsen all our dysfunctions, while a positive one will accelerate the healing process of the most severe traumas. Now let’s see which are the main symptoms of muscle strain and other ailments related to repetitive motion and constant stress. If you feel any of the above-mentioned symptoms, it means that you have to take urgent measures in order to stop the destructive process before it makes even more damages. The good news is that even the most severe injuries manifest their first symptoms long before the condition becomes irreversible. Now let’s see what exactly we should do in order to deal with a hand injury effectively. 1. Stop practicing for at least one or two days. Rest and relaxation are the best remedies for tired sore hands. Take your time even if it affects your school schedule, your exams and your concerts. After all, your health is much more important! If you’ll not protect your hands when the first symptoms appear, it will be much harder to heal your injury in the future. 2. Resume your practice routine gradually. After a few days of rest (in a severe case the break should be longer – weeks or even months), begin your practice with several easy exercises. Play slowly some scales or a piece from your repertoire by using the weight of your arm behind each note. Don’t play pp or ff; mf is your main dynamic for the time being. Monitor your wrist, your elbows and your shoulders – they should be relaxed and heavy. Don’t hurry to play fast, the more time you dedicate to this thorough detailed practice method, the better your hands will heal. 3. Practice regularly. It’s better and healthier to practice 1 hour per day EACH DAY than 5 hours per day twice or thrice a week. Regular practice will always keep your arms, your wrists, your hands and your fingers in good shape. When your muscles are trained and prepared for their daily work, it’s impossible to overwork them. I’ve seen many pianists wearing hand or wrist bandages when they get a muscle strain. I don’t recommend such measures. A tight bandage will decrease the blood circulation, slowing down the healing process. The blood has powerful healing capacities, that’s why we have to allow it to circulate freely, bringing fresh energy where it’s required and washing away the toxins. However, you have to be careful not to expose your hands to a cold environment. Wear something warm and gloves (especially during the cold season). And let’s not forget that prevention is better than any treatment. No matter how difficult your repertoire is and how little time you have at your disposal for learning it, try to avoid the causes of hand injuries mentioned above. Keep your hands and your mind relaxed while playing, try to enjoy the beauty of the music, to explore its mysteries and understand its message. Don’t play only with your fingers, use your arms like a bird is using its wings – this is the only way to ‘fly’ and conquer new peaks! I am very glad that you created this web page on Piano related injuries. The information here is really useful. One of the problems i face when playing the piano is worrying about hurting my index finger when i play the wrong note (e.g. hit edge of another note). Sometimes, this happens and the edge of my finger hurts quite a bit especially when i am playing at a fast tempo. You can avoid the problem you mentioned by learning how to play correctly, in a relaxed manner – and also by always guiding your fingers with your mind (it’s called mental anticipation). When your mind is always one step ahead – you’ll see exactly where you place each finger – and you will avoid such injuries (which are not good for you, being an indication that you’re doing something wrong). In correct piano playing, we never hit our fingers on the edge of an adjacent note – we’re always pointing towards the middle of the key :). Plus, even if we DO touch the edge of another key – it should not hurt! The fact that this simple action hurts your fingertip is an indication that you use an incorrect key attack (too harsh, too brutal, without wrist relaxation). You can learn how to play correctly from scratch, using the professional ergonomic principles of the Russian piano school, by following the step-by-step Video Practice Guide for Beginners based on the famous method book “The Russian School of Piano Playing” by Nikolaev. You can find all these progressive Lessons (and many other hundreds of exclusive piano playing tutorials for ALL levels) on my Piano Coaching Program at PianoCareerAcademy.com. I understand how a relaxed mind is essential for playing well. I think a lot of the times, i worry about hurting my finger (it has been injured in the past) and i end up hitting edge of another note. I also know that looking at the note before i actually hit improves my accuracy. The other thing that I was told from my piano teacher was not to use my wrist or arm to press down upon the note. He said that i have to have strong finger tips to create tone contrasts (e.g. play soft). So in order to increase the strength, i regularly practice strong stacattos and legatos. Do you think that this is a good method? Or will it increase tension and worsen circulation? In my reply, I didn’t mean only a ‘relaxed mind’ – but also a correct, relaxed key attack (playing from the entire weight of your arm, not only from your fingers). Your teacher is using the old-fashioned finger-only harpsichord technique – which is extremely dangerous for the modern piano (which has heavy keys), usually leading to tension and the resulting injuries and pain. In the Russian piano school, we use whole-arm action (a holistic system based on the balance between arm weight, flexible elbows and wrists, rounded hand dome and strong fingers). My son who is now 20 playing piano for only 8 years is developing hand pain and stiffness in both hands before during and after playing the piano. Is there anything he can or should do? Is there any vitamins, exercises that may help? the only thing that has really helped is rest but he loves to play. As I mentioned in my article above, the most frequent cause of hand pain (for pianists) is incorrect practice. Vitamins or exercises will not help if your son practices irregularly, in a tensed manner, without using the natural weight of his arms and without keeping his wrists flexible. Whole-arm action (the foundation of correct ergonomic piano playing) is a very complex technique, and mastering it takes time, patience and dedication. The results, however, are well worth the effort! You can find detailed video and written tutorials about whole-arm action in the Members Area of my Piano Coaching Program at PianoCareerAcademy.com :). And, obviously, his hand pain might have a different cause, not related to piano playing. In this case, my advice is to consult a doctor. Hi, my forearms hurt from playing too much octaves and big chords. My maximum handspan is only an octave. Wenever I have to continuously play many octaves and big chords like Beethoven’s Pathetique sonata my forearms hurt. I think it is due to tension and muscle strain. Do you have any tips in solving this problem? You’ll also have access to hundreds of other exclusive tutorials where I share the professional principles of the Russian piano school. They will help you to learn the secrets of relaxed, ergonomic, whole-arm, painless piano playing ;). I have been your avid Youtube subscriber and viewer of your educational videos. I have been playing the piano since 2013 Febuary everyday. I have developed some fundamental piano skills such as pedalling, voicing and etc. I have noticed that my digital piano (which I use for practise) has an unsophisticated key weighing compared to a real upright or grand piano. That would mean I find my digital piano’s keys too light and find a real piano’s keys too heavy when I whenever I strike a key. Hi! I’m a student studying ARCT piano and have been playing since I was 5. This article has given me lots of great information. I’m having some irregular pain just in the tendon of my left hand pinky finger, and it has just started to bother me. I think it’s because I’m playing a piece ( Chopin Étude in A-flat major ) which requires a lot of reaches in the LH from the low bass notes to regular bass notes. Do you think this is due to tension, stress or strain? Is there a more effective way to play so that this pain does not occur? And is this tendonitis or just chronic pain? Trust your instinct- and try to avoid situations working with obsessive or uncaring people. Only other thing I would add- getting older and developing joint issues/ wear and tear issues…not much you can do only rest/ anti-inflammatories etc. The best technique in the world won’t protect against ageing/ serious illness. I’ve been watching your YouTube videos for a while now and I love your clear teaching style. I have a question about technique in a certain piece. I’m playing the Fantasy in F minor by Chopin, which I’m relearning for fun at the age of 45. I played it in college and was much younger then. I’m afraid my arms are not as toned and strong anymore as they used to be, because now the octaves are causing me some elbow pain. Is it ok to cheat and play single notes instead of octaves, or is that ruining the masterpiece? I’d honestly rather cheat and save my tendons than injure myself with heavy octave work. What do you suggest? I want ask to you, about repetitive strain injury. What kind hands injury usually as common a player piano? Thank you ilinca 🙂 nice to meet you. What you said was really helpful! I just had a specific question. I have been playing for 12 years and I have never really experienced hand pain. However, I went on vacation for a week and stopped practicing. When I got back and started practicing the middle of my hands and the tops of my arms (like the muscle) hurts really bad. Is that something of concern or should I just lay off the practicing for a couple days. You can find detailed tutorials on this topic – how to resume your practice after a vacation, how to practice correctly, how to avoid any type of hand/arm tension and pain – in the Members Area of my Piano Coaching Program at PianoCareerAcademy.com. I have been playing the piano over 50 years and the thought that I could injure my hand never came to mind. I wish I’d known the information I have just read, that you have provided. Unfortunately, I was zealous in a piece with a lot of octaves and have strained my right pinky. I tried playing with nine fingers, but the strain is still there and felt on the side of my palm. Realistically, how long does it take for a strain like this to heal? Is there anything at all that can be done to speed the healing process. Help. More knowledgeable now and will not make the same mistake twice. Thank you. First off I love this site it has helped me a lot. I want to ask for advice on having tension in your back and forearms. Sometimes when I play for a longer time or play some more difficult songs, I get a really bad pinching in my back and can’t play for a while and my shoulders get really sore. I’m not sure if it’s my posture or something else. Hi, thank you for this article! I have been having wrist pain in my right wrist for a few months now. I work at an ice cream shop all year round and I am a piano major. I realized that the combination of scooping hard ice cream and increasing my practice time as my rep. increased in difficulty resulted in this pain. However, I’m having trouble getting rid of it. I am looking for another job, but until I find one I have to keep working there. I’m not really sure what to do since I have two recitals coming up and I play at my church on a weekly basis. This past weekend I took a break from practicing. I didn’t play Saturday, but I played hymns in church on Sunday, but took a break for the rest of the day. What do you suggest I do? No, I have never had a practice-related injury – I was very lucky to have great teachers who taught me to play correctly from the very beginning :). However, I did feel tiredness in my arms/wrists very often, especially when I was studying and I was playing many hour-long programs simultaneosuly. The principles I shared in the article above helped me to stop this tiredness from transforming into an injury. However, I DID have injuries caused by training. When I was about 10, I hurt my wrist while playing badminton LOL – and even last year I had tendonitis because of weight-lifting (I did a weighted exercise incorrectly). Now the tendonitis is fully healed, and I have learned my lesson – I do my weight-lifting correctly :). I have been dealing with hand strain related to piano playing. I would get pain up my hand into my arm, numbness and tingling in fingers, and loss of control when playing. Fixing my posture and some bad habits nearly got rid of it, but it has recently come back with something new- finger spasms… Usually thumb and forefinger. The rest of my hand feels uneasy… Sort of like having restless leg syndrome but in the hands. Additionally, I work a lot on the computer, and I still nurse a fourteen month old, which causes my arms and hands to fall asleep pretty often. I am wondering if you heard of finger spasms in relation to playing, and if this is something that can be fixed with rest and reevaluation of practicing techniques. It is quite distressing, since playing piano and organ (whereI don’t feel pain) is my job. I am a freshman piano major, and have always had wrist issues, but since I’ve had a much heavier load since school started, my wrists have been giving me pain. My professor said I am very tense when playing, and I realize that I am; my wrists are always extremely tense, and overall I feel tense. What are some exercises to help get rid of the tension? It’s gotten slightly better, but whenever I play any louder than mf or have large chords, I get extremely tense again. I have very small hands, which may be part of this. It’s gotten so bad this past week that after playing for 30 minutes my whole entire right arm (rh is worse) aches from my hand to my shoulder. Any tips would be very helpful!! It’s impossible to get rid of wrist tension and pain only by doing exercises. Doing exercises when you are in pain is just like taking a pill when you have a headache – it might make you feel better for the moment, but it will not cure the problem itself because it does not address its cause! Therefore, in solving any piano playing problem, we have to begin by identifying the cause. Just like I explain in my article above – piano-related hand injuries are a result of an incorrect playing habit. In order to make sure that harmful tension does not occur, you need to change your playing habit and learn how to play correctly, by using ergonomic principles such as whole-arm action and weighted playing, arm/wrist relaxation combined with finger&hand strength etc. (which I explain in detail, from scratch, in a step-by-step manner, in the hundreds of tutorials available for the Members of my Piano Coaching Program at PianoCareerAcademy.com). The Key Principles of Correct Piano Practice: A Step-By-Step Holistic Guide. I love the piano very much, but I’m afraid that one day, I’ll stop just because of my skin asthma, especially on my dear fingers. It bleeds at times, hindering me from practicing. It’s also sore. I’ve been really catching up with my lessons, but I’m way too far. That’s sad ya. Btw, thanks for the tips. Really helps like a lot. I’ve been playing for 6 years and recently I think I’ve injured my hands/arms. About 6 months ago I started playing a very demanding Chopin piece and I admit that I’ve seriously been overworking my hands. I thought that playing “until it hurts” will only help you build muscles, but it has only been making my hands stiff and making my forearms swollen and hurt. I’m worried that I’ve injured myself past the point of recovery. Can you please give me some tips or advice? I am a church pianist, so you know how hard you have to play. I also have severe rheumatoid arthritis. My last bone density scan showed my wrists were not responding to the Reclast infusion. My rheumatologist doesn’t know why. She has checked with several doctors and they had no solution either. I was looking on line about surgery and found that in severe cases a plate was put in the wrist and it would not bend any more. So I wad just wondering if I had to have that kind of surgery would I have to stop playing my piano. I am not a doctor, so unfortunately I cannot give you medical advice (nor do I have medical experience with rheumatoid arthritis) :(. I can only mention that indeed, if you cannot bend your wrist (due to the insertion of a plate) – piano playing is not recommended (since wrist flexibility is one of the most important technical aspects of our art). And, of course, I can also help you to learn how to play piano correctly, in a safe, ergonomic, tensionless manner – so that you never have piano-related injuries :). You can do so by becoming a member of my Piano Coaching Program at PianoCareerAcademy.com. If you want to learn more about the functionality of this program, please read our super-detailed FAQs! I’ve become an addict to your articles and videos since I found them like a month ago. I love music and I always wanted to learn to play piano, now that I’m 33 I decided to seriously start the journey. However, it seems that after five months I was not in the correct path. Now I realize that I was doing so many things wrong during my practice (posture, not being relaxed, incorrect key attack, not warming up, not being in the moment, working harder not smarter, not mastering a piece before moving to the next one, among others… ). As a consequence I got finally hurt and I’m experiencing pain in my wrists and forearms from two weeks now. By the way the pain started when I was practicing the cords of Czerny’s op599-10. I stopped the practice and probably I should resume until the pain is gone from both hands, right? On top of the pain I also realize that after recording what I whas playing(I’m using a Yamaha P105 digital piano) was awful 🙂 . Out of time, not pressing all the notes of the cords at the same time and so, it sounds like being in pain jaja. Even with the pain and bad practices, I was enyoing the idea of learning and playing, and also I started to realize that i was getting a bit better every day. I’m so eager to resume probably all from the start using the information you share with us under the framework of a holistic approach! Can we use the material of pianocareeracademy.com without requiring further lessons with a teacher in place? I will appreciate any feedback you migth provide ( Knowing that you are a very busy person). Thank you very much, your posts are inspiring! You will find detailed answers to all your questions in our FAQs (http://www.pianocareeracademy.com/faqs/). Please pay special attention to Ilinca’s answers to questions No. 1, 2 and 3 (about what is included in the PCA membership – and what is not included), No. 24 (about digital pianos), No. 20 (about sharing recordings in the Members Area) and No. 21 (about seeing a real-life teacher). Also, because you’re a beginner, you will be able to follow Ilinca’s step-by-step Video Course for Beginners, and, after several months of practice – the progressive Scale & Arpeggio Course. Learn more about these Courses by reading Ilinca’s answer to question No. 17 and 19 from the FAQs. I have been practicing piano in early mornings for 1^1/2 to 2 hours every day. This i did once i purchase my digital piano. i did not have previous piano experience. Even then there was not much pain. After every practice i felt stronger. I play scales and arppegios for an hour or so and then practice lessons for grade examinations. But after two months i started playing “Heart asks for Pleasure” by Michael Nyman from the movie paino. It was quite difficult at that stage for me. But my interest kept me pushing to practice the piece. After one month of practice, on one saturday i practiced for more than 4 hours. I felt that my right hand has lost all its strength and broke down. I could not play the piano after that. I took rest for one month. The swelling subsided. Then i practiced playing all lessons softly. Then one day i had joint pain once i started playing scales. Once again i took rest for one more month and along with physiotherapy joint pain got cured. But the muscles they seem to be tired and they dont look like they are ready to play piano. Every time i try the piano, they seem to get tired within 10 minutes of playing. I have lot of dreams to achieve in piano. Please help. I am not able to get right guidance here. You will find a detailed (free) answer to your question in our FAQs (http://www.pianocareeracademy.com/faqs/) – question No. 31. You can learn how to use the piano pedal correctly, in a step-by-step manner, by following Ilinca’s video tutorials available in the Members Area on PianoCareerAcademy.com. In other words, many of Ilinca’s videos contain detailed video pedaling demonstrations (which are much better than photos). You can find out more about PianoCareerAcademy.com and its functionality by reading our super-detailed FAQs (http://www.pianocareeracademy.com/faqs/). Please pay special attention to questions No. 1-5, 9, 14 and 17. This is really helpful thank you for makimg this page, I am only 15 but I went on holiday for a whole month where I couldn’t play the piano, me and my sister however tried to do some hand exercies during that time. I play three instruments, and after eight years of playing I ve never had this problem! Mt left hand muscles began to hurt, just a long line below the index finger,also pain around my wrist and sometimes the pain would shoot up my arm. Its quiet painful but I ve been to the doctors and they said just to put an ice pack on it? I tried to play at least a scale a day to keep my fingers moving and after resting it it stopped hurting a bit. Then after another week I started to praxrise everyday, half an hour as it is, and yesterday both of my hands started to hurt, I don’t know what to do because I have my grade coming up soon and want to practice but it got up to the stage where I couldn’t pick things up with my left hand! 🙁 are there any ‘light’ exercises I can do? Help!!! You will find a detailed answer to your question in our FAQs at PianoCareerAcademy.com – by reading my free article dedicated to this topic (dealing with hand/wrist injuries and tension). You will find this article under question No. 31 :). Several months back I muscled through playing a page worth of octave runs and have been paying for that bit of stupidity ever since. I was practicing about 30-45 minutes a day when The accident occurred, but I broke every rule for playing octaves when you have small hands. I’m 56. My general doctor more or less told me I’ve screwed up my hand permanently, but I want to get a second opinion. Do you think going to a doctor who specializes in repetive stress injuries would be a good source of information. Thanks. I recommend to begin by reading my newest article dedicated to piano-related injuries and pain. The article is free, and you can find it in our FAQs at PianoCareerAcademy.com (http://www.pianocareeracademy.com/faqs/) – answer No. 31. I will also mention that I am not a doctor, so unfortunately I cannot assess the severity of your injury or suggest a treatment. I agree though that getting a second opinion is a great idea – and besides that, you should also look into some holistic treatment options. Generally, if nothing is broken (so if you only have RSI or tendinitis), the injury should heal itself in time – but you have to obviously rest your hand first (maybe even for a month or two) – and then resume your practice very gradually and correctly, in a tension-free manner, avoiding large chords and intervals (by following the ergonomic playing principles that I share in my tutorials – including in the ones available on PianoCareerAcademy.com). This year I have found that I’ve been suffering from a lot of hand pain when I play some of my harder songs. I am in grade 9 piano this year and I practice 6 hours a week. I also play in a lot of bands at my high school and put in around 30 hours of music a week. I have extremely small hands but have never found it to be a major problem until this year. I find that not only do my shoulders hurt, but my hands get very tight and the joints will ache. I have consulted my piano teacher, and she said that my posture, and hands are being held right. I think that I might be experiencing some of this pain due to the fact that I do have to stretch out my hands a lot to be able to play some of my chords. I am just capable of playing an octave when I stretch out my hands fully. Do you have any exercises to help relieve some of the joint pain I’ve been experiencing? If so please help me! It’s very painful and I really don’t want to quit piano because of hand injuries. I recommend reading my newest article dedicated to piano-related injuries – for having a better understanding of the main causes of hand injuries (with detailed solutions for each case – including your current stretching problems). The article is free, and you can find it in our FAQs at PianoCareerAcademy.com (http://www.pianocareeracademy.com/faqs/) – answer No. 31. My name is Belle and I am in grade 6 piano ABRSM. I’ve noticed that when I play the piano my shoulders are tense and very in pain. Eventhough after practicing for 5 mins or less it already hurts… This has been forever, I think I might’ve had the wrong posture or the way to sit… Please help I also play the harp and when I do it also makes me hurt because of piano. Piano-related pain, tension and discomfort are a symptom of incorrect practice. You can learn out more by reading Ilinca’s newest free article on this topic – find it under question No. 31 from our FAQs at PianoCareerAcademy.com. I also encourage to take a look at some of the other FAQs (especially No. 1-6), to find out more about the functionality of our Piano Coaching Program :). My name is Matthew,and I’m facing an issue that isn’t listed in this article. The entirity of a song I’m practicing uses a technique I don’t know the name of, where your pinkie plays an A, and your thumb plays the next highest A [on the left hand], and the same for a B, C, etc. The problem is that, since every note on the left hand requires the use of my pinkie, the tip of it [the part that touches the piano] develops pain when I play. Thisjust started occuring today. I do everything else correctly: my fingers are curled, my arm is relaxed and I play each note the way you recommend. I don’t know if this is an injury or of it is how your body gets used to the instrument. A reply clarifying this would be greatly appreciated. I recommend reading my most recent free article on this topic – you can find it in our FAQs at PianoCareerAcademy.com (http://www.pianocareeracademy.com/faqs/) – answer No. 31. 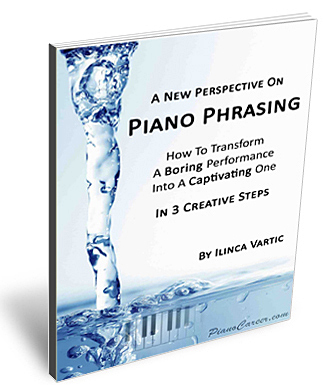 This is Natalia, Ilinca Vartic’s assistant at PianoCareerAcademy.com. Thank you for your comment! You can learn whole-arm action and relaxed weighted playing from scratch, in a progressive and enjoyable manner, simultaneously developing ALL your technical/expressive/aural/practice/analytical skills, by following the tutorials available in the Members Area of Ilinca’s Piano Coaching Program at PianoCareerAcademy.com. The Secrets of a Correct Piano Key Attack. The 5 Basic Elements of a Correct Piano Posture. Nikolaev’s Russian School of Piano Playing. Video Course for Beginners. Lesson No. 1. The Piano Intoning Technique and the Illusion of Legato. You can learn more about PianoCareerAcademy.com and its functionality by reading our super-detailed FAQs. No. 17: a detailed description of our Video Course for Beginners. Hi, wanted to thank you for creating this. I wanted to learn the piano two years or so ago, and when I finally got to learn from someone at church, my mom wanted me to practice everyday without making any mistakes so that I can impress him with my quick advancements. Unfortunately, I still kept making mistakes and I was already playing for hours. She shrugged my sore wrist as nothing, doesn’t even take the hint when I roll it around, and I practiced with a negative attitude with the way she criticized (they weren’t helpful one bit). I stopped playing after that cause of all the negativity (even my brother quit his guitar lessons cause of it), and then she wanted me to play Canon for a Christmas video. Of course I still couldn’t perfect it after many hours of practice cause I’m too focused on trying to get it right, so she ended up recording me with the counter blocking my fake piano playing. I thought of all that when I read #6, I know that it acts how one plays, and that they shouldn’t be pushing themselves too hard, that rest is a must for the wrist. I have a weird and irritating problem with my left hand 3rd finger in piano performance. I can’t play with my left hand 3rd finger! I just can’t! When I try hard to do it, my second finger first comes down (and so, unintentionally plays the key), then, probably with the help of this finger, my 3rd finger comes down. recently, my 4th finger too comes down down. Seems like it’s paralysed. It’s been years, and I don’t know what to do; I have talked with several teachers but they also didn’t have a clue. Can you help me? Maybe you’ve seen something similar, or can suggest an exercise that might help? I have done lots of things…but the finger is just dead when I want it to play the key. I’ve made up several creative excersises…it went worse and worse; and now it hast terminated my performance. I have gone to physiologist and orthopedic specialist, and gave the test EMG — everything was “normal”. Your problem is very unusual! Normally incorrect ‘finger-only’ playing leads to tension, pain, tendinitis, RSI etc. – but I’ve never heard of a pianist losing control over a certain finger. If doctors can’t find anything wrong on a physical level – you might need to retrain your left hand (including your 3rd finger) from scratch, in a step-by-step manner. The best (and safest) approach for this retraining is the progressive whole-arm method we use in the Russian piano school: our students begin by learning how to play with the entire relaxed arm, non-legato, only one finger at a time (which involves minimum ‘independent’ finger movements) – and they only move to legato (where finger independence is gradually introduced) when this first step is fully conquered. This way, the risk of incorrect, tensed, ‘finger-only’ legato playing is eliminated (and too much incorrect legato playing, without any knowledge of the ergonomic relaxed whole-arm technique, is probably the main cause of your problem). There’s obviously only so much I can explain in a short comment – and if you wish to learn all the fundamentals correctly (which will offer you a strong chance of ‘reviving’ your 3rd finger and retraining your LH to play correctly), I recommend following my step-by-step Video Course for Beginners (available in the Members Area of my Piano Coaching Program at PianoCareerAcademy.com). No. 19: a detailed description of our Scale & Arpeggio Course. No. 30: find out why I don’t recommend Hanon. No. 31: a detailed article dedicated to dealing with piano-related pain and injuries (that article is more recent than the one above – being more comprehensive and exhaustive). I strongly recommend reading it! My 9-year old started playing piano since he was 4-year old and has had formal training with an excellent piano professor for last three years. He enjoys playing piano everyday and has never had any pain or hand problem before. About three weeks ago, he was practicing a new piece Chopin Prelude in A major which has wide chords that he was not used to. After about 20-min, he told me that his right hand was getting very tired. So we asked him to stop playing and rest. The next day, when he tried to play again, he said his fingers hurt. So we told him not to continue playing until he is pain free. He has not played piano ever since. The pain has gradually gone away, but the 4th finger is still hurting him when he tries to lift up that finger alone or press on the piano key. He said the 4th finger was the finger that stretched the most when he played the Prelude. We are getting a bit concerned that the pain has lasted for almost three weeks and he has not played piano since. I started looking up on the web and came across your web page. I am wondering from your experience is it normal to have pain for so long from only 20-min of over-stretch. Should we seek for doctor’s advice? Is there any way that can help rest his hand completely and speed up the healing. Would the normal activities such as writing or typing with that hand prevent it from healing? I am looking forward to any advice or recommendations from you. Thank you! I just have to say, I have watched some videos and read a bit of your literature, and find it very, very helpful. Your disposition is charming and lovely to watch, which makes me eager to learn. Thank you. Hi Ilinca, loved the article. I just started to learn piano and i am learning my first song but my hands start to feel pain early into practice (10-15 mins). The pain is in my pinky fingers and the top of my hands (tendons?). For my left hand i use two D notes for the base, my thumb on one and my pinky on the other. Am i overstreching by using those particular fingers? With my right hand its all normal major and minor chords im playing but i get the same amount of pain, if not more. The song is What A Beautiful Name by Hillsong United in case you want to see the chords im playing. Thank you for your time! – you are trying to play stretched structures (octaves, chords) too soon, before your muscles are ready – and I’m also certain you do it incorrectly :). In the Russian piano school, our beginners start playing octaves only after at least 1-2 years of serious practice! The solution: learning how to play piano correctly, in a step-by-step manner. You can do so by taking lessons from a good real-life teacher; or by following my step-by-step Video Course for Beginners (available in the Members Area of PianoCareerAcademy.com). This Course will help you to develop ALL your piano skills (technique, expression, hearing, reading, theory & analysis, correct practice, pedaling etc.) in a harmonious manner, according to the professional system used in the Russian piano school. You can also learn more about the main causes of piano-related pain and injuries (and how to counteract them) by reading my latest free article on this topic. Find it as a reply to question No. 31 from the FAQs. I have been playing the piano for 7 years (quite irregularly though) and I decided recently to invest myself strongly in practicing everyday for a few hours. So I started playing Hanon faster than it actually is (because I’m already familiar with the exercises) because I assumed that playing the exercises faster would make my hands used to the piano faster. And after practicing for a few hours for the last 3 days my left hand is really sore. I thought at first that it’s a good thing, that my hands were just getting stronger. However after googling it (and stumbling into your article) I realised that I’ve made a big mistake. I was just wondering whether the pain came from playing the exercises too fast or from playing irregularly for a while and then suddenly playing intensely. – too much fast practice (of course). – mechanical practice, done for the sole purpose of strengthening your fingers, or making them more agile (which simply doesn’t work). You can learn more by reading my latest free article on this topic – it’s the reply to question No. 31 from our FAQs at PianoCareerAcademy.com. You can also take a look at answer No. 30, where I talk about Hanon. Developing a Brilliant Piano Technique – The Holistic Professional Approach. Pain is a symptom of incorrect practice – and you should always stop (and re-evaluate) at the first sign of tension/discomfort (before it degenerates into pain!). You’re welcome, Timmer! I also recommend reading my newest article on this topic (how to get rid of piano-related tension and pain) – find it as a reply to question No. 31 from our FAQs (http://www.pianocareeracademy.com/faqs/). This is a trivial point, and nothing directly to do with the advice to players. I would like to advise that the verb is practise, while the noun is practice. It works like advice and advise, although these admittedly have a different pronunciation. I was in my 50s before I found how to spell the two forms correctly. I am well aware of this spelling rule, which is mainly used in the UK, Australia and other British colonies. In the US, people use ‘practice’ and ‘practice’ for both the verb and the noun (and I do the same in my tutorials, being fully aware of my choice). Don’t get me wrong – I’m not saying that this is ‘correct’ :). Grammar and language are continuously transforming and evolving, and things ARE relative) :). It’s simply what I’m used to, because I learned English by myself, by reading books and watching movies. When you install a dictionary in Word, for example, it will ask you if you prefer the UK or the US version. Then, if you choose the UK version, it will mark ‘practice’ (as a verb) as incorrect – while the US version will underline ‘practise’ (and even my browser spellcheck marks the word I just wrote as incorrect) :). Hi Ilinca! Love your website and articles! Absolutely fantastic! I have a question, My hands are in a very bad shape and I can’t practice, the skin on my fingers are peeling off, layers after layers, What should I do? I tried lotions and creams, doesn’t reallt help, should I tey toughen up the skin on my fingers? I practice a lot on an old piano, would that be a problem? I’m sorry to hear about your hands – and I’m afraid that this is a question for your doctor. Dry/peeling skin can point to various imbalances in the body – such as lack of vitamins, insufficient healthy fats in the diet etc. Only a doctor could give you an exact diagnosis. Creams can only help to soften the skin, but they cannot cure a medical issue.